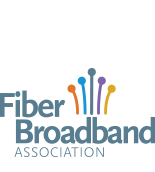 VETRO FiberMap™ and CostQuest Associates (CQA) announced today the release of a jointly developed analysis tool for broadband providers to assess their potential for participating in the FCC’s forthcoming CAF II Reverse Auction. How Fast Is Your San Leandro Business Internet Connection – Really? Take the City of San Leandro Business Community Broadband Survey today and help to create a Fiber Optic Master Plan designed to facilitate improved broadband access for our San Leandro businesses.